Thank you for your help in buying our first house seamlessly. You were very helpful and patient in answering all my questions. You have always had time for us. Manny & Simone were quick to understand our needs and steer us in the right direction. Their professionalism and warmth made the process of finding a suitable home a lot less stressful than it could have been. Given the current market and the time of year at which we were selling, it was nothing short of phenomenal that you were able to sell our house in just over 2 weeks . We love being your clients and highly recommend you to anyone looking to sell or buy their home. Manny & Simone's knowledge and attention to detail was invaluable from the negotiating the offer, inspection and closing processes. I received their personal attention almost on a daily basis. Manny & Simone were always available for questions. In an ever changing local real estate environment, I found that having you on my side was a tremendous advantage to me and I am thankful to have worked with you. The sale of my house was stress free all because of your team and I would definitely recommend Manny & Simone to anyone who needs to buy or sell a house. Simone is a fantastic realtor. Extremely professional and sincere. She guided us brilliantly through the purchase of our first home. There was zero stress and maximum client care through the whole process. Can’t say enough about Simone except get her on your team if you’re buying or selling. The moment you see Manny and Simone you know you meet the right people to work with. Many and his professional team helped me fulfill my big dream which is buying my first home. The purchase went very smoothly and I am able to move in my new home without any issues. I strongly recommend Manny and his team to everyone that is either looking for their dream home or selling their properties. When I've decided to sell my home and buy as well, a friend of mine referred me to Simone Singh. Preparing the home for selling was quite stressful at first, but with Simone's professionalism and years of experince, I was more relaxed after the process began. Simone was there for me every step of the way. She gave me more ideas of making my home look more desirable to potential buyers, from the first showing, through viewings, open houses and offers. She was there for me from the beginning to the end. Simone has a pleasant personality and good people's skills, all this made it easier fro me to sell my home, which got sold in a very short time. I would recommend her to anyone that's thinking of buying or selling their property. Thank you Simone for a job well done. We wanted to send a note to say " Thank you " for making our home hunting a great and simple experience without any issues or hassle. From the very beginning, you were attentive towards our needs and always answered our questions and kept us up to date. We enjoyed searching for houses with you. We appreciate that you took us to many open houses and showed various options, as seeing the houses in person helped us make our decision. Thank you for helping us find the perfect home! We have been settled in for about a few days now and we are enjoying it. We will be referring you to all of our friends because of your excellent and professional service. Once again, Thank you so much. Simone on behalf of my family, Angelica and myself we would like to thank you very much for your help, your effort and patience during this adventure, with ups and downs but nothing personal just business. I can tell that your coming in place since the first day has been a blessing and I could not make a better decision to have you. My girls, angelica and myself will thank you forever and ever. God bless you and family. It was a pleasure to work with Manny & Simone as they made us feel comfortable through the whole buying and selling process. They used their experience and knowledge of the real estate industry to provide us with the information and sound advice that we needed to make the best decisions for us. They found us a beautiful home and they also did an excellent job of marketing our current home for sale, which ended up being sold in less than a week for above the asking price! A big thank you to Manny & Simone for the time and effort they have put in and we would definitely recommend them to our friends and family. We had our home listed for sale with another Real Estate Agent for over 5 months and it did not sell. We then decided to make the decision of changing our real estate agent. We were referred to Manny & Simone Singh and once they took over from there and that was it. Manny sold our home in 27 days for 99% of our asking price. So if you are thinking of selling your home, we strongly recommend that you call Manny and Simone First. Working with Manny, Simone and their whole team was a phenomenal experience. Being a first time home seller, we were little anxious in the beginning but the way Simone explained their marketing strategy and whole procedure, it did not take us long to realize that we are with a good team. Throughout this selling experience, their availability and prompt response to address our questions and concerns was amazing. Manny’s negotiation skills are astonishing, not only he managed to sell the house so quickly but also arranged a flexible closing for us and that’s what we were really looking for. It is really nice to see a sign changing from “Coming Soon…” to “Sold, Over asking price” in just four days. Manny and Simone, thanks and we really appreciate both of you. I had a big challenge of selling my home and then buying a new one. Manny’s guidance and skills helped me through especially when it came to the point of buying. I and my wife would like to thank Manny & Simone for all the professional support right from the time of selling to buying process of our new beautiful home. I appreciate and want to thank them for making the process of selling and buying so easy. By: Michael and Maria Flores. We met Simone through her website. Once she listened to our needs & priorities. Her dedication to her work and with her knowledge, we have been able to get the home that we have dreamt about. Simone, she knows the real estate market very well. She has been very patient with our queries. She was always present and she made it so easy for us in finding a home. Trustworthy and reliable and I would strongly recommend Simone to our family & friends so that they too experience the same personal attention and best service. Thank you so much for looking out for my best interest at all times. The information you provided was very professional and friendly. Simone is very knowledgeable, efficient and patient. You gave your 100% best in helping me find my dream home. I will highly recommend Simone to all my friends and family for their real estate needs. We would like to formally say thank you very much to Manny & Simone for your professional attention in selling our home, 6 Rotunda St. The experience of selling our home was made without any stress through your professionalism and keeping us informed of prospective buyer feedback. Because of team Manny & Simone we were able to sell our home faster and for more than what we were expecting. We strongly recommend Manny & Simone for getting the homes sold for Top Dollars. I, we would like to thank Manny for his great job he has done in selling our home. He has done a fabulous job by staging our home, putting our house on the market and selling it within 1 week. The best part of all this is that, he has sold our house for more than what we had expected. Great job done by Manny Singh. We highly recommend his professional service to anyone who is buying or selling their home. Manny did a wonderful job with us and was a pleasure to work with. His professionalism was simply outstanding. He was available throughout the entire process of selling our home, explained each step and answered all of our questions. With his help, we got a great offer and sold our home in less than one month. We would highly recommend him to our family and friends. would like to deeply thank Manny for a fantastic and ultra professional job in finding our dream home in a timely manner. His service and dedication were impeccable when negotiating the best possible price for our beautiful home. I will recommend him to all our families and friends to use his services for buying and selling the properties in the future as well. Once again, thanks for a job well done. Mr Manny Singh is very good person and he is also dedicated in showing the houses our interests. It been wonderful working with him to buy our very first house in Canada. he understands the problems and needs of immigrants. He works closely with his clients until they are satisfied. We saw many houses which we didn't like but Manny had a lot of patience to take us through the process to the point where we found a good house! 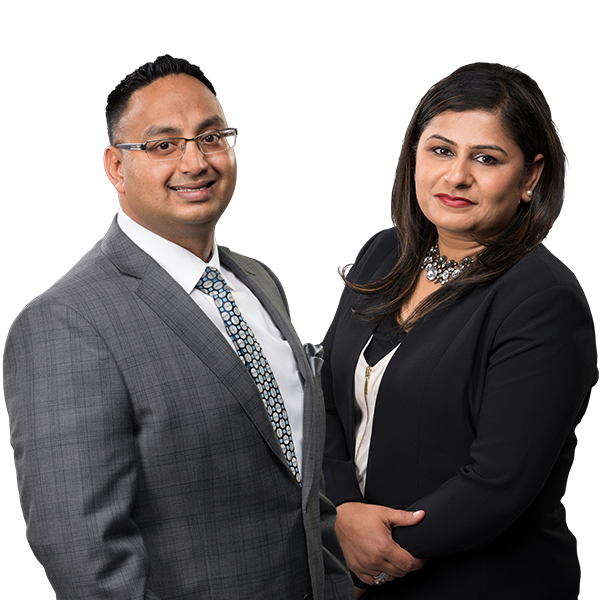 We strongly recommend Manny & Simone Singh to whoever wants to buy or sell a house! -Prasanna Kumar & Family. We would like to express our sincerest gratitude to Manny for a job well done! He has done an outstanding job with finding us our perfect home. Manny's professionalism and patience was exceptional. As first time buyers we didn't know what to expect and had many questions along the way. He was available throughout the whole process to explain everything in detail and answer any questions which we had. Aside from showing us the houses he also gave us good advice and contacts for the mortgage and home inspection. He is very knowledgeable in his field of work and has gone above and beyond to make us very happy home owners! We would be very comfortable and honoured to recommend him to any of our family and friends! Thank you Manny!